It is no secret that I am a Paige Toon fan. I was so excited to get this book for review and equally delighted to say that I loved it. I loved it for many reasons. I loved the main character Bridget I really liked getting to know her and have a glimpse into her life as a writer. 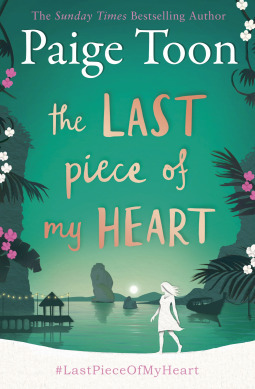 I loved the setting of the majority of the book being set in Cornwall and how I haven't booked a holiday to go there myself again is beyond me. I adored the main relationship of the book and seeing the friendship between Charlie and Bridget grow over the course of the book as she started to bring him out of his shell and into the world again after he's suffered so much grief and heartache. I can't say too much more without spoiling it so I'll finish here by saying I loved it. It felt full of heart and gorgeously sweet. I really hope the characters cameo in a future novel so we can check in on them again in the future.